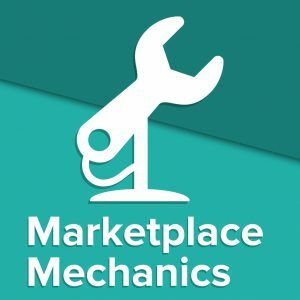 Marketplace Mechanics is BACK! After an unintentional one-year hiatus due to being busy building my own marketplace, I’m delighted to be recording MM again and to be releasing Episode 2 today. In this episode, I speak to Jean-Michel Chalayer, the CEO & Co-Founder of LeSalon. I’ve known JM for several years now and our marketplaces are at similar stages (between Seed and Series A), so it’s always a pleasure to sit down and discuss strategy and tactics with him. Were my questions good and interesting? Did you think the episode was too long, too short, or just right? How was the audio quality? I’m particularly interested in feedback on audio quality as I edited and mixed this episode myself. Episode 1 was done professionally, so let me know whether you think I should continue editing myself, or getting someone more knowledgeable to do it! Don’t forget to subscribe to the mailing list using the sidebar on the right, and to follow us on Twitter @marketplacepod if you haven’t already. And if you enjoyed this episode, please do leave a rating on your favourite platform. 4:50 Is LeSalon the Uber for therapists? 5:32 What did the first few months look like? How did you get started? 6:44 How did you know when you had found the right co-founder? Were there any real signs you were a good match when you met? 8:20 You’ve found your co-founder – what next? What does a typical day at early-stage LeSalon look like? 13:25 What are the criteria for therapists (suppliers) joining LeSalon? What makes a good therapist? 15:31 Do you reject a lot of therapists? 17:02 How do you approach trust? How do you help your customers get comfortable with a stranger entering their home to carry out beauty treatments? 18:11 How do foster a sense of community on your marketplace? 22:55 How is LeSalon better than the competition? 24:35 How did you arrive at the business model? Has it changed since you started? And is it a similar model to competitors, or have you done something unique? 25:55 Do you control the pricing on your platform? 32:37 What’s your favourite part of building a two-sided marketplace? 34:30 Biggest piece of advice you’d give to someone thinking about starting their own marketplace?